Happy Bookday, That Magic Mischief! | Bright & Beautyfull! 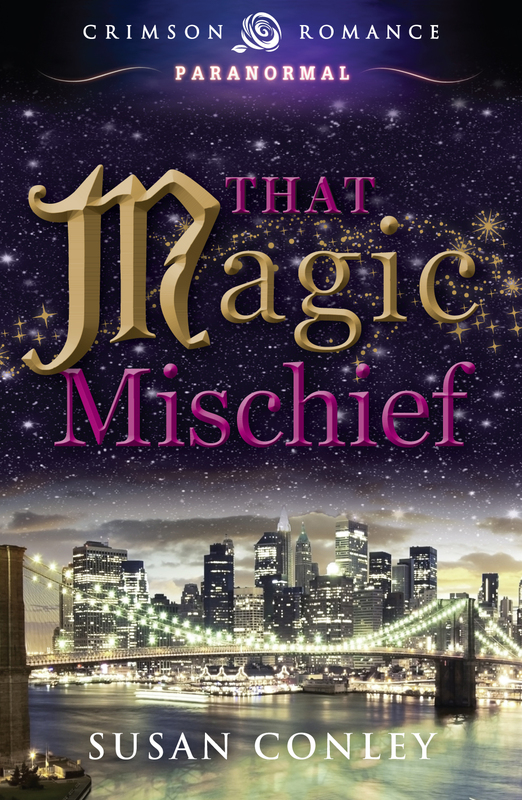 Happy Bookday, That Magic Mischief! Awww! You’ve been a glimmer in my eye since 2001. 2001! Yes, that is totally true! I got the idea for you when on a trip to the American Southwest, in Taos, a lovely town to be sure, but one that stretched even my credulity as regards all things metaphysical. I had picked up a local free sheet, and the first thing that caught my eye was a column suggesting that one get one’s pals together for a past-life regression/séance slumber party. Oooookay, I thought, before I folded up the paper and put it the trash. That’s a bit much, even for me. Because you see, TMM — I can call you TMM, yeah? — I believe in all sorts of things, I have consulted many an oracle in all my years, and I’m into angels and stuff… but that? Nope, too wacky, even for me. But it did make me wonder, What would these people do if something actually did come over from the other side, or the outer dimension, or wherever? Like, what if after all the spells, all the incense, all the invoking, some class of supernatural creature did actually make itself known to somebody? What would that somebody do? And then I starting thinking about what might trigger that off, what would be a thing in the life of a young, single woman living in… Brooklyn? Brooklyn! Well, it would most likely be romance-related or work-related. What if it was both? And what if the help she thought she was wanted wasn’t going to be the help she got? Even if it did all work out in the end. And so you were conceived, TMM. In the dusty streets of New Mexico, in a manner of speaking. After several drafts and many pitches, the editors at Crimson Romance took you on, to my absolute delight. Off you go , now! Have fun! And know that your movie rights are ready and waiting to be optioned! That Magic Mischief is available as a digital download, where all good etheric tomes are sold!